Some of the Friday night tasters outside one of 2 pavilions filled with wine and food. I consider this three-day food and wine festival one of the very in Georgia, if not South. This event featured over 200 wines from vintners across the globe as well as the most sought-after international liquors for your tasting pleasure. The festival highlights the region’s most creative chefs and culinary talent and includes an eclectic mix of performers and visual artists. 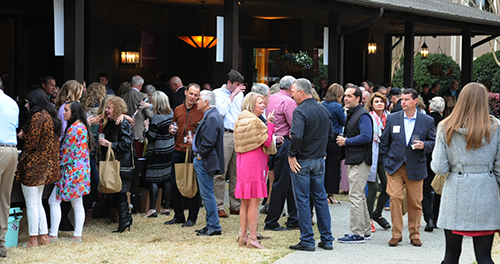 Lake Oconee provides a scenic backdrop for this fabulous lakeside food and wine festival. Cost: Tickets range from $75 to $200. The Grand Tasting is $150. Times and costs are on their website.